Wednesday 13 July, Nuclear AMRC. Small modular reactor developer NuScale Power is holding a supplier day, hosted by the Nuclear AMRC, to give UK-based nuclear engineering, manufacturing and construction companies the opportunity to meet NuScale representatives and learn about the company’s programme of work. The event forms part of a long-term objective to build NuScale’s UK supply chain in preparation for potential deployment in the UK market. 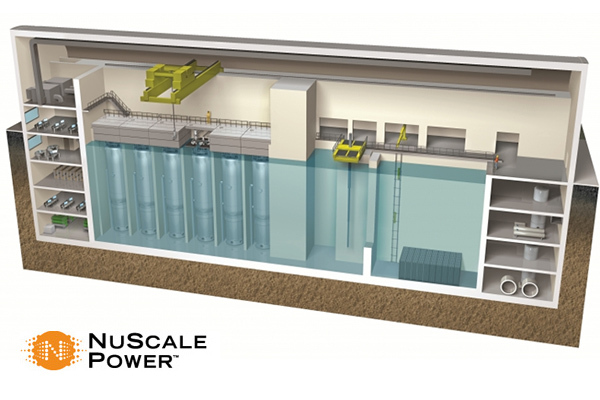 US-based NuScale is keen to develop lasting relationships with UK-based suppliers, small and large, from straight supply to build-to-print to strategic partnerships. Potential suppliers are invited to participate in this day of presentations, workshops and one-to-one meetings designed to inform them of the company’s plans for the UK market and how they can become involved in NuScale’s programme. Speakers include key members of the NuScale executive team, as well as Fluor Limited, Ultra Electronics and the Nuclear AMRC. 8 & 9 June, Nuclear AMRC. 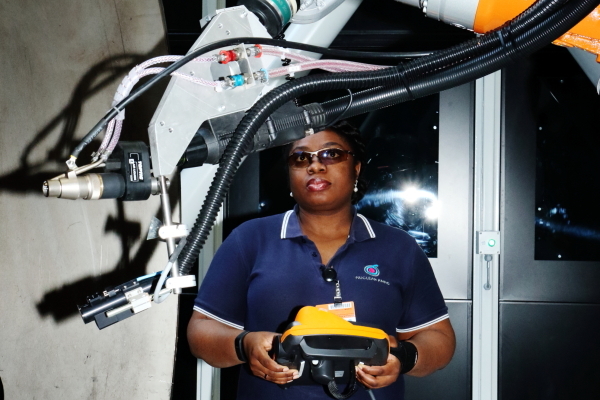 Welding specialist Polysoude, a Tier Two member of the Nuclear AMRC, presents a masterclass in mechanised TIG welding and cladding, with live demonstrations on production-scale equipment in the Nuclear AMRC workshop. Live demonstrations of mechanised welding and cladding solutions, including narrow groove and TIGer technology. Live demonstrations of orbital welding applications with equipment for tube-to-tube and tube-to-tubesheet welding. Presentations by leading industry experts. Additive manufacturing experts at the Nuclear AMRC are leading international research into innovative repair technologies for the aerospace industry. The Amos project (Additive manufacturing optimisation and simulation platform for repairing and remanufacturing of aerospace components) is a collaboration between researchers and manufacturers in Europe and Canada, led by the University of Sheffield AMRC. Amos will investigate a range of direct energy deposition techniques which combine welding tools with automated control to accurately deposit and melt metal powder or wire. Many of these techniques are already used in aerospace and other industries to build new parts to near-net shape. The project will focus on additive technologies already being used by the partners, including the wire-feed gas tungsten arc process used in the Nuclear AMRC’s bulk additive cell. The team may also look at other additive techniques used at the Nuclear AMRC, such as powder diode laser. Amos will investigate the use of these techniques to repair and remanufacture aerospace components such as turbine blades and landing gear. 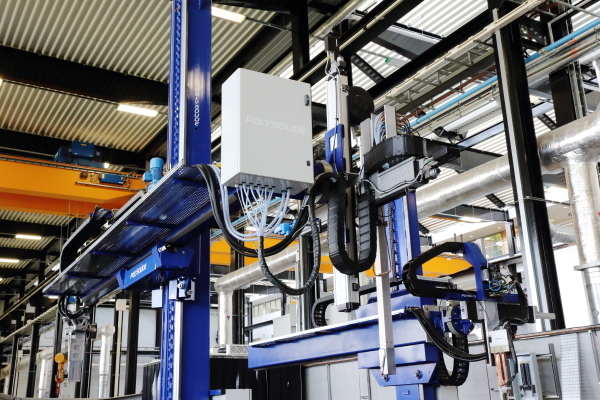 This could significantly reduce the time and cost of regular maintenance and repair for the aerospace industry, while reducing material waste and extending the life of expensive components. 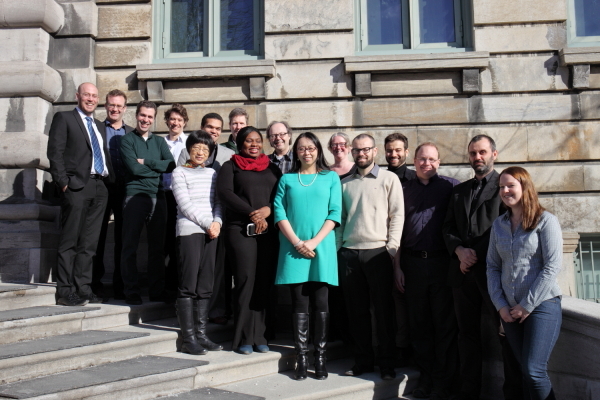 The Amos consortium includes nine partners from Canada, France, Sweden and the UK, including research organisations, top-tier aerospace manufacturers, and specialist technology developers. The project will research fundamental aspects of selected additive processes, including the material integrity of deposited metal, and the accuracy and limitations of the deposition process. The consortium will also investigate automated techniques to map damaged areas and calculate repair strategies, and look at how the near-net shape repairs can be effectively machined to a final seamless shape. Amos will also investigate how additive repair techniques can be factored into the design of new components to optimise efficiency over their life cycle, and the qualification of innovative repair processes which don’t comply with current industry specifications. The European partners are the University of Sheffield AMRC in the UK; Ecole Central de Nantes in France; GKN Aerospace Engine Systems, based in Sweden; and DPS, a French SME specialising in process simulation and optimisation. Canadian partners are McGill University, Montreal; the University of Ottawa; jet engine manufacturer Pratt & Whitney Canada; landing gear supplier Héroux-Devtek; and automated welding specialist Liburdi. The project will involve a range of additive manufacturing technologies used at the participating centres and companies, including laser powder and robotic laser wire systems operated by Liburdi in Canada, a CNC laser powder facility at Ecole Centrale de Nantes in France, and robotic powder diode laser and wire-feed gas tungsten arc facilities at the Nuclear AMRC in the UK. Material research will focus on three widely used aerospace alloys: Ti6Al4V, Inconel 718, and 300M alloy steel. The four-year, €2.6 million (C$3.8 million) project is supported by the European Commission through the Horizon 2020 programme and by Canadian funding agencies CARIC and NSERC. It is one of the first European-Canadian projects to be funded under the ‘Mobility for growth’ collaboration in aeronautics R&D.